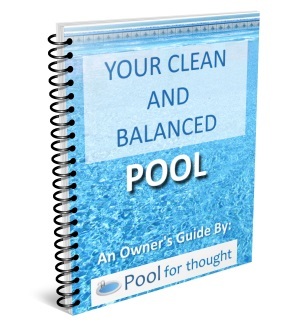 A swimming pool pump is responsible for circulating pool water through the pool, plus direct water through the various cleaning, heating, and sanitizing equipment. What is a swimming Pool Pump? A pool pump is a device responsible for circulating water through the swimming pool and the various equipment used by the pool to clean, heat, and sanitize the pool water. An electric motor is typically connected to the pump. As the motor turns, the pump impeller draws in water. This action pulls water in towards the pool pump through the water lines, while the water exiting the pump is pushed through various equipment and back towards the swimming pool. A pool pump is a necessary piece of equipment for swimming pools, as the pool skimmer, skimmer basket, filter basket, pool filter such as a sand filter, vacuum, and a chlorinator or other sanitation systems all rely on the pool pump to circulate water through each device for them to function properly. For smaller swimming pools, a single pool pump will pump water through all cleaning, heating, and sanitizing equipment. For large public and commercial pools, one or more pumps are used, each with a designated purpose.